Back in September 2009 I spent 10 days in the mid west. The Labor Day weekend was spent in the lakeside cabin of our Chicago-land friends and then Mel and I took off for a four day swing around the upper Great Lakes and Mississippi Valley. We arrived in Chicago late morning, Mel picked us up and we headed north to Sayner, WI deep in the north woods. 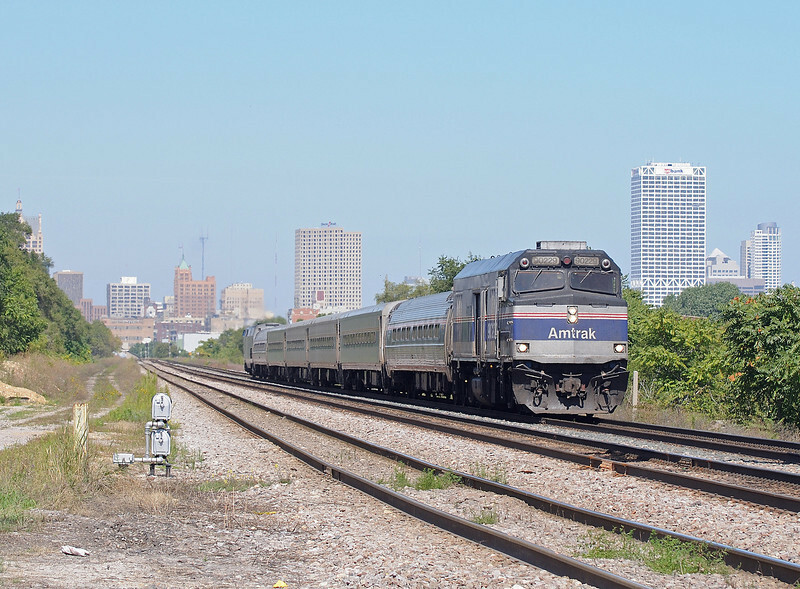 Passing through Milwaukee we got this picture of an Amtrak Hiawatha service train heading towards Chicago, the former F40PH locomotive is now the equivalent of a DVT.